QbD is now also active in the French-speaking Belgian market. 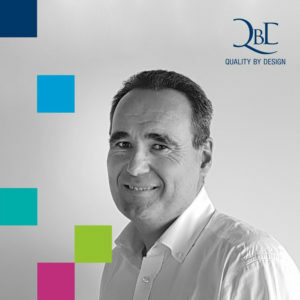 To that end, Sébastien Collet has joined QbD as General Manager Brussels & Wallonia. This logical step is a new milestone for QbD, which was founded by Bart Van Acker in 2011, from his apartment in Wilrijk (Antwerp). The company has grown rapidly since those early days. Today, QbD has its own brand-new Belgian headquarters and offices in the Netherlands, Spain, Mexico and Colombia. The company employs over 160 people worldwide, 120 of which in Belgium.